Orta GTK Theme + Faenza Icon Theme = Even Better! Faenza icon theme has already won plenty of accolades from the vast Ubuntu user community and we did feature Faenza in our top 10 icon themes for Ubuntu post. Equinox theme ruled for long as *the* best GTK theme to be used with Faenza, but now we have an incredible alternative in the form of Orta GTK theme. The latest Orta theme comes with a PPA for Ubuntu which makes installation even easier. What's New in Orta 1.0.1 GTK Theme? The biggest change with the new Orta theme is the inclusion of a new PPA dedicated to Orta theme. Things have become a lot easier now. Orta 1.0.1 comes with a number of minor improvements also, but the theme as such haven't changed much from the previous Orta 1.0 version. Read detailed review of Orta 1.0. 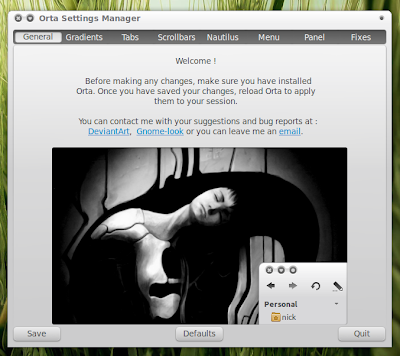 How to Install Orta Theme in Ubuntu via PPA? Install latest version of Orta theme in Ubuntu by doing the following in Terminal. Before getting started, don't forget to remove all traces or Orta theme from your Ubuntu(if you have it installed already ie). Done. Now goto System - Preferences - Orta Settings Manager. And the settings manager will take you through the required steps. Now, if you haven't installed Faenza icon theme yet, here is what you need to do. How to Install Faenza Icon Theme in Ubuntu? Install latest Faenza version 0.8 in Ubuntu by doing the following in Terminal. Done. Learn more about latest Faenza icon theme upgrade. Orta GTK theme + Faenza icon theme combination looks absolutely gorgeous in my Ubuntu. 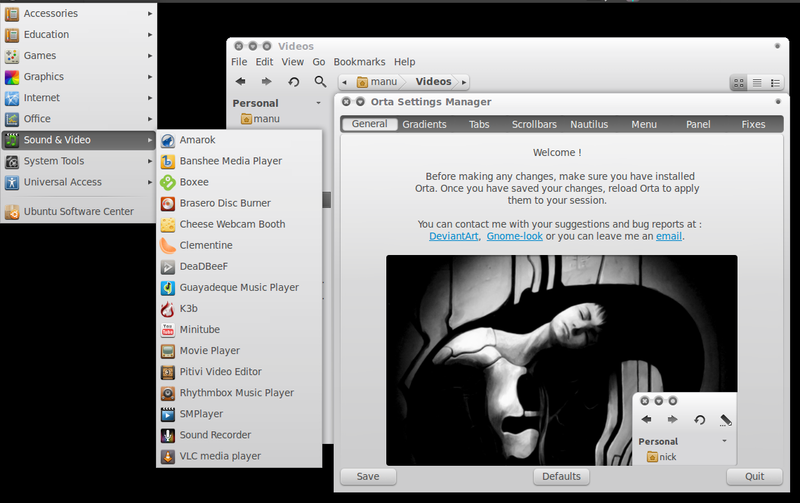 Orta theme is by far the best I have used in my Ubuntu Maverick. You might want to install Nautilus Elementary and Gloobus Preview also for optimum results. Those of you who are using other flavors of Linux, visit Orta DeviantArt Page.